​London Psychology Space is an independent private practice offering a range of psychological therapies. 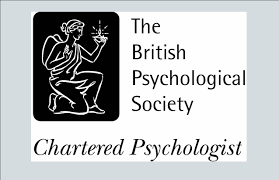 Dr Omar Timberlake and Dr Nicolina Spatuzzi are highly qualified Chartered Clinical Psychologists, registered with The Health and Care Professions Council (HCPC) and The British Psychological Society (BPS). We aim to offer a high-quality service to organisations, adults, children, young people and their families. In our work, we aim to draw upon evidence based interventions and ensure that all our clients have choice over the type of support they receive. We believe that difficulties come in all shapes and sizes and can serve to disconnect us from our lives, relationships, communities and hopes. Getting back into your life can, at times, require support. We aim to ensure that working with us makes this possible through providing an approachable and respectful environment where psychological therapy is tailored to your needs and circumstances. One-to-one therapy and counselling for adults, children, young people and parents/carers. ...contact us and we can call you back or answer any questions via email. We aim to ensure that you are provided with ​a discreet and professional service tailored to your needs.